Brian Boru ended the Scandinavian Viking grip on Ireland, but a thousand years on their descendants were 'really happy' to be welcomed by Irish shoppers this week. There was a big queue at the opening of the first JYSK store in Ireland in Naas this week. The first customers had waited outside the branch from the early hours of Tuesday morning, April 2. JYSK is a Denmark-based homewares chain similar to the other Scandinavian company IKEA from Sweden. JYSK plans to open 15 JYSK stores in Ireland over the next couple of years. A Portlaoise branch is due to open this summer at the Laois Shopping Centre. ”I am really happy that we have been so well received, and that so many people want to be part of the opening. I know that some of you in the front of the line has been here since 2 am, and I know that my colleagues in the store will make sure that you get what you came for,” said Lars Larsen and continued. “I know that right now only few people in Ireland know JYSK, but we will make sure to change that,” he said. Mr Larsen was joined by the Danish Ambassador in Ireland, Niels Christen Pultz. Mr Pultz expressed his joy of being part of welcoming JYSK to Ireland, as JYSK in his opinion stands for some of the best qualities of Danish business culture. JYSK has over 2,700 stores and 23,000 employees in 52 countries. The opening of the first Irish shop coincided with the company's 40th anniversary. “I couldn’t imagine a better way to celebrate JYSK’s 40th anniversary than to add another country to the JYSK world map," said Mr Larson before he arriving in Naas. 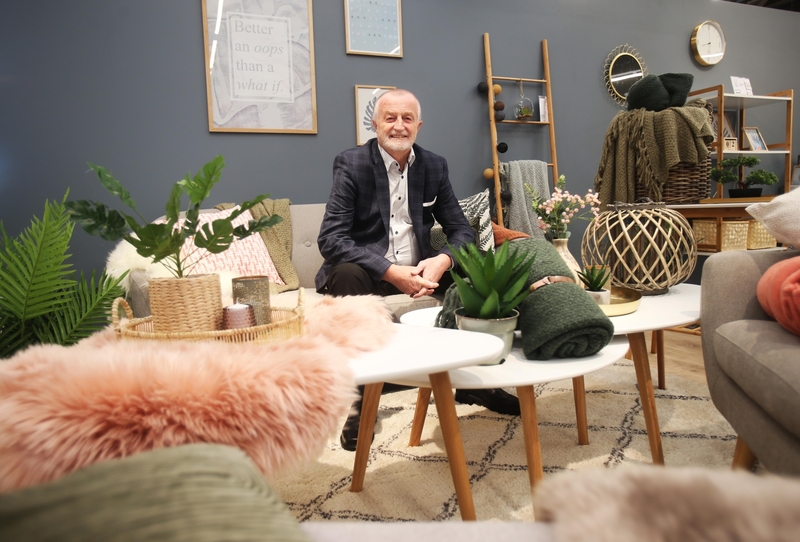 "Expansion has been part of the DNA of JYSK since the first store opened 40 years ago, and I am happy to be able to mark that by opening our first store in Ireland. This is the last big country in Europe, where people until now have not had the opportunity to go to a local JYSK store,” he said Larsen. The company wants to open 15 Irish outlets creating 200 jobs. The owner believes his chain has something to offer Irish shoppers. The latest financial year resulted in a new record for Lars Larsen Group with earnings before tax of more than €300 million. Apart from JYSK Mr Larsen also has investments in restaurants and leisure sectors.